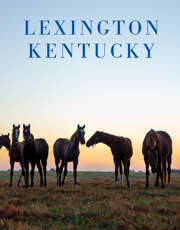 Suggested Lexington, KY Itineraries: Plan Your Vacation. There may never be another horse like Secretariat. His astonishing 31 length victory at Belmont Park to win the 1973 Triple Crown may never be matched. But Kentucky is no stranger to equine super stars. Name any famous thoroughbred in the history of horse racing and we&apos;ll bet they were conceived, born, or retired to stud right here in the Bluegrass Region. There&apos;s a reason they call us Horse Capital of the World. 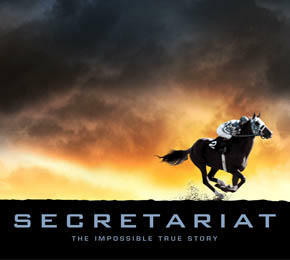 When Disney decided to bring the story of Secretariat to the big screen, it was clear that Kentucky, where Secretariat spent 16 productive years, would play a part. Director Randall Wallace and cinematographer Dean Semler, scouting locations for the film, were met with the same enthusiasm that met Secretariat when he arrived at Claiborne Farm to begin his stud career. They discovered a region of stunning landscapes and friendly people with a passion for horses. We invite you to discover the same. Here&apos;s a great itinerary for fans of Secretariat: the horse and the movie. Evening: Arrive in time to check in at your hotel and catch an early dinner downtown. Then head off to see a movie at the theater where a premiere of Secretariat was held on October 3, 2010, in advance of the nationwide release. Star Diane Lane was spotted on the red carpet as were Penny Chenery&apos;s daughter (Kate Chenery Tweedy), Hall of Fame jockey Steve Cauthen and other luminaries. Lexington&apos;s lovingly restored 1920&apos;s movie palace, The Kentucky Theatre, is on Main Street and there are at least a dozen independently owned restaurants within walking distance. The "after party" was held at nearby Portofino, an excellent dinner choice if you are in the mood for upscale Italian cuisine. Owner Wayne Masterman has created an airy, elegant spot serving locally sourced Italian and American cuisine, with a great wine list. Early Morning: Even if you aren&apos;t an early riser by nature, you must not miss breakfast at the track kitchen at Keeneland Race Course. Keeneland is a "must see" for fans of the movie, so why not get there early, grab a cheap and hearty breakfast with the trainers and owners. Arrive trackside between 7 a.m. and 9 a.m. and you&apos;ll be able to catch horses at their morning workouts. Then wander over to the kitchen for breakfast. In the movie, when Secretariat runs his first race, the stunning race track you see is not really Aqueduct, but Keeneland. When he runs the most important race of his life, what you see in the movie is not really Belmont Park, but Keeneland. Sharp observers will also recognize the incomparable paddock area at Keeneland as the back drop for the pre-Belmont Stakes press conference. Historic Keeneland Race Course is no stranger to film making. Both Dreamer and Seabiscuit were filmed in part at this national treasure. Late Morning. And now for something completely different: central Kentucky&apos;s castle. When you leave Keeneland, take a right on U.S. 60 and watch for the turrets of The Kentucky Castle. Construction began on this extraordinary structure around 1969. As the story goes, the original owner honeymooned in Europe, where the bride fell in love with castles. When they returned to Kentucky, the new husband proceeded to build her a castle of her own, but they divorced before its completion. It is now a luxury bed and breakfast. When filming was complete, it proved to be the perfect venue for the cast party. John Malkovich and Diane Lane probably never expected to be entertained at a castle while filming in central Kentucky. Immediately past The Kentucky Castle, take a right on Pisgah Pike for a brief scenic driving tour through a small part of Kentucky&apos;s famed horse country. You&apos;ll pass a charming church on your right, Pisgah Presbyterian. The graveyard behind the church has Revolutionary War era graves. You may recognize it from a scene early in the movie. This is where the graveside service for Penny Chenery&apos;s mother was filmed. Lunch. Stay on Old Frankfort Pike and you will end up in downtown Lexington. Grab lunch at Nick Ryan&apos;s or Stella&apos;s Deli before heading out to spend the rest of the day at the Kentucky Horse Park. Afternoon. The Kentucky Horse Park is a 1,200 acre state park dedicated to all breeds of horse. Try to arrive before 1:00 p.m. so you&apos;ll have time to explore the International Museum of the Horse in addition to the rest of the Park. Featured near the visitor&apos;s center is a statue of beloved Secretariat with jockey Ron Turcotte in the irons being led into the winner&apos;s circle by groom Eddie Sweat after the Kentucky Derby. Check out the "Strides" exhibit on the sidewalk leading out to the Man o&apos; War Memorial to see how Secretariat&apos;s stride compares to Man o&apos; War and John Henry. Inside the International Museum of the Horse you&apos;ll find a great collection of Secretariat memorabilia, including Ron Turcotte&apos;s boots and distinctive blue and white racing silks. Look for a souvenir to remind you of your Secretariat odyssey in Kentucky at the Park&apos;s gift shop. You&apos;ll find the Disney movie, prints and photographs, the last photographic book created by Penny&apos;s daughter (Kate), jewelry, and even a Secretariat Beanie Baby. On your way back to town, turn left out of the Kentucky Horse Park and you will pass Spindletop Hall on your right behind ornate wrought iron gates. Scenes from the movie were shot both inside and outside this mansion built by oil heiress Pansy Yount in 1935. The film makers staged many scenes here, including the infamous coin toss where Penny acquired ownership of Secretariat, and where trainer Lucien Laurin practiced his golf swing while trying to convince Penny he no longer had any interest in horses. Evening. Pick Dudley&apos;s for dinner and you can check off two things that should be on every "to do" list while visiting Kentucky. You can enjoy a traditional Kentucky Hot Brown and pick fine Kentucky Bourbon from their collection. Check out the Calendar of Events for evening entertainment options while you are here. WoodSongs Old Time Radio Hour is taped live on Monday nights at the Lyric Theatre and is heard around the world on more than 500 radio stations. On Wednesdays, you can hear live Bluegrass Music at ArtsPlace. The Lexington Opera House hosts touring Broadway productions, and Lexington Center hosts everything from Disney on Ice to country music stars. Morning. Don&apos;t miss seeing Thoroughbred Park at the intersection of Main and Midland. A group of seven life-sized bronze statues of horses are frozen in time as they approach the finish line. Mares and foals graze on the knolls behind the "track." Learn about Thoroughbred racing as you wander the paths through the park. Forty-two plaques tell the story of the Bluegrass Region&apos;s unequaled contribution to the sport of kings. Late Morning. Set out for the charming small town of Paris, just north of Lexington. Notice the beautiful stone fences along Paris Pike. As this road was improved and widened, great care was taken to preserve, restore or rebuild all the original stone fencing. Take a right on 627 just before town, and you&apos;ll drive past the Hancock&apos;s legendary Claiborne Farm. Claiborne, where Secretariat stood at stud for 16 years, gives morning tours but you must make an appointment well in advance. If you were not able to schedule a tour, it is still worth the drive to see this beautiful farm from the road. It&apos;s huge. If you are lucky enough to take a guided tour, you&apos;ll see the grave of Secretariat, who sired as many as 600 foals during his career at Claiborne. Lunch. Before heading back to Lexington, or hitting the interstate for home, take a leisurely drive to nearby Middletown and stop for lunch at Home Sweet Kentucky. It was a huge hit with the film crew while they were in the area. The restaurant serves up home cooked meals made "from scratch." (Note February 2019; restaurant is closed at this time.) Driving the back roads through horse country is sure to leave a lasting impression. Horses are as much a part of this legendary landscape as the grass and trees. You never know: one of the horses you see frolicking in the fields might just be the next Triple Crown winner.